There were a few important reports on the U.S. economy released this morning. 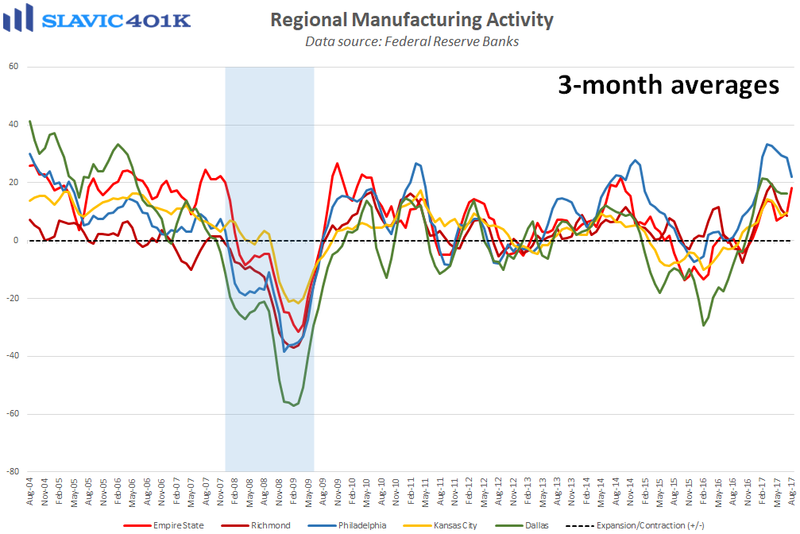 First, data from the Federal Reserve Bank of Philadelphia showed that manufacturing activity in the Mid-Atlantic region of the country cooled this month, as the general business conditions index slid from +19.5 to +18.9. That was the fifth decline in the past six months and the lowest headline reading since November. Under the hood, current measures of new orders, shipments, and hours worked improved this month but gauges of inventories, inflation, and total employment deteriorated. Forward-looking indicators (six months ahead) generally improved in August but reported capital expenditure plans fell slightly. Managers in this month’s survey were also asked a few special questions which revealed that prices received for goods and services sold are expected to rise by 2.0 percent over the next twelve months, while worker compensation (wages and benefits) is forecast to rise by 3.0 percent. That supports the argument that the tightening labor market going forward will only add to the margin strain that many U.S. businesses are already feeling. 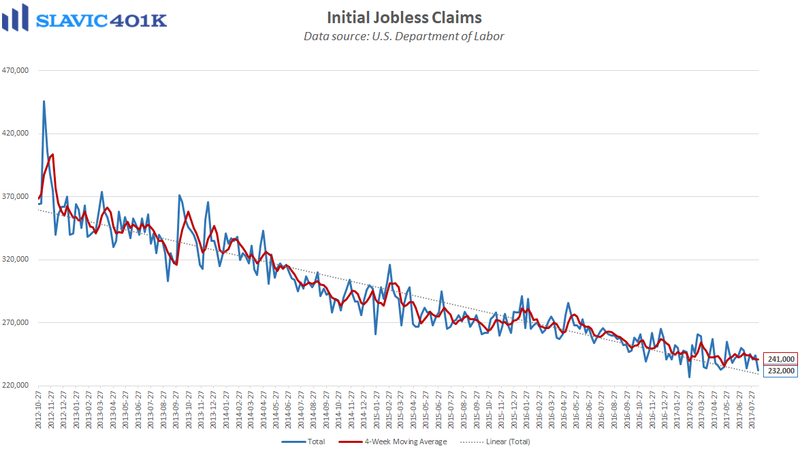 Next, a report from the U.S. Department of Labor showed that first-time claims for unemployment benefits fell last week to just 232K. That was the largest decline in a month, much better than expected, and the lowest headline reading since February. 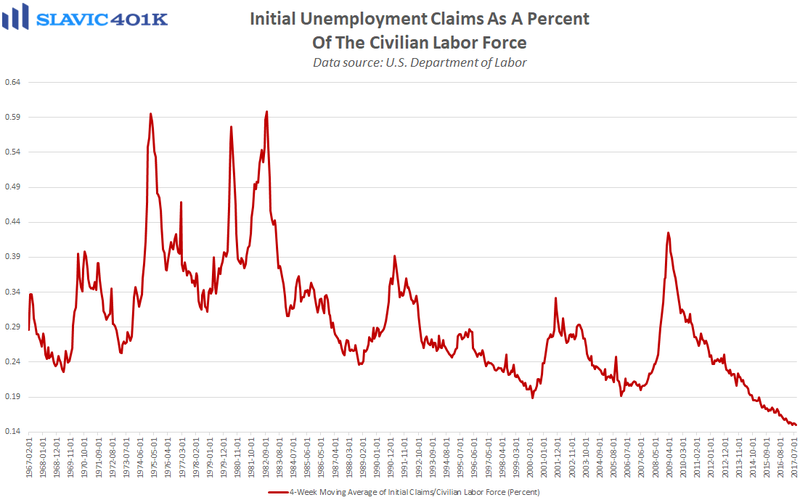 After a brief uptick in July, initial jobless claims have drifted back to near-record lows, and the number of Americans filing for unemployment benefits as a percentage of the overall labor force is now at an all-time low. 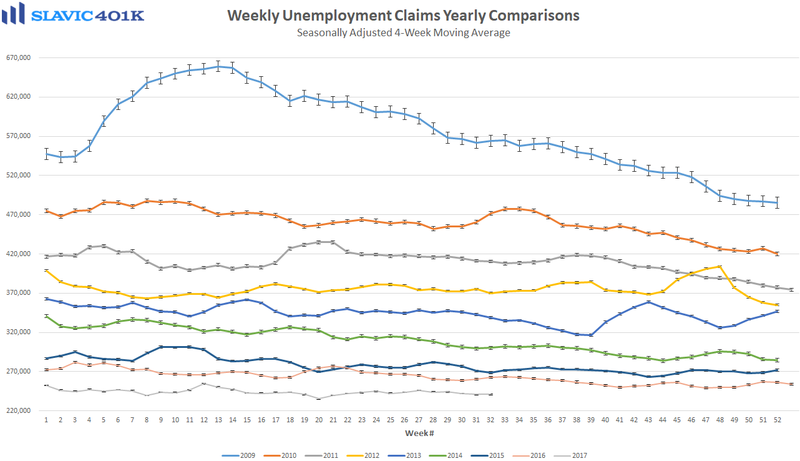 Further, weekly claims have remained below 300K for 128 weeks in a row, the longest such streak since 1970 when both the U.S. population and workforce were far smaller than they currently are. 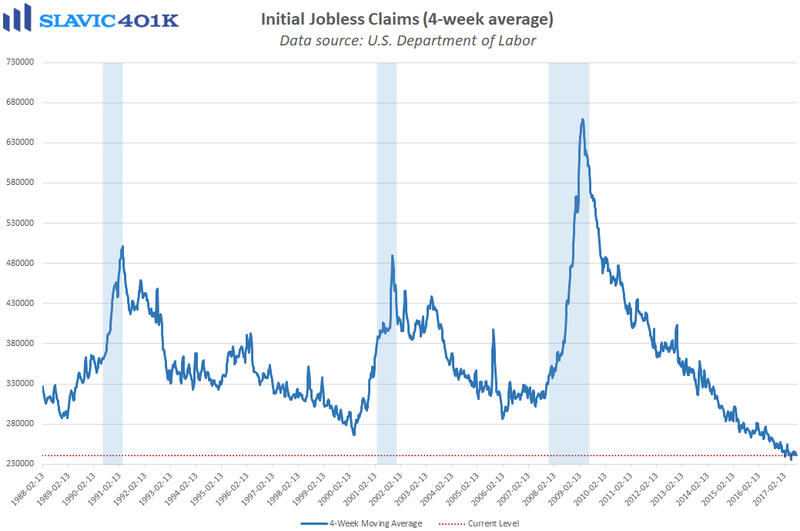 More importantly, initial jobless claims tend to spike ahead of a recession, something that clearly has yet to happen during the current business cycle. 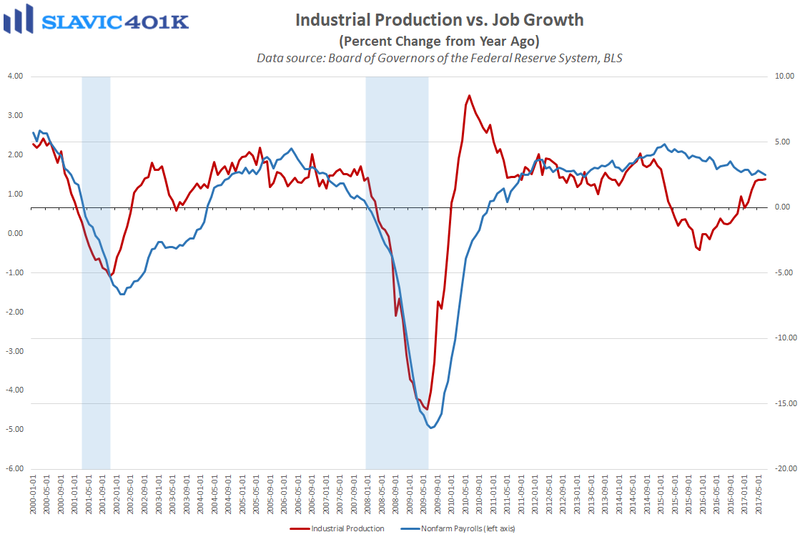 Elsewhere, data from the Federal Reserve Board of Governors showed that industrial activity in America moderated last month, as total production rose by 0.2 percent. 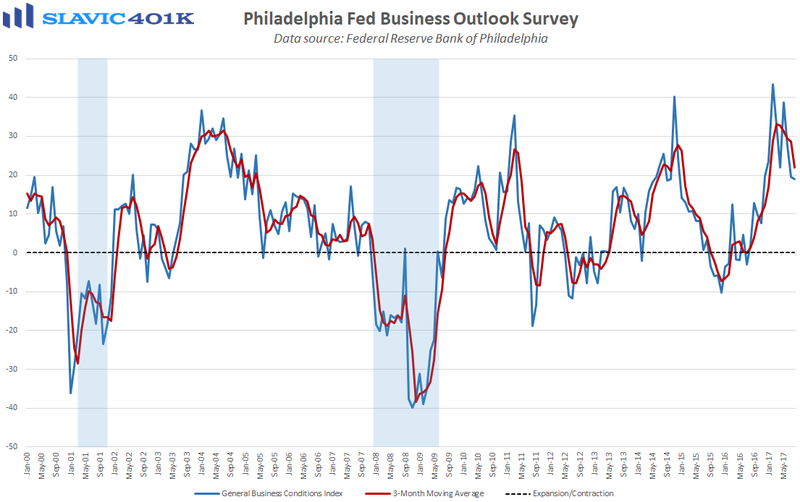 That was worse than the 0.3 percent gain economists had expected and half the increase seen in June. Most of the weakness was due to a large drop in automobile production, and manufacturing in general, which makes up roughly 75 percent of all industrial production, actually declined by 0.1 percent in July. 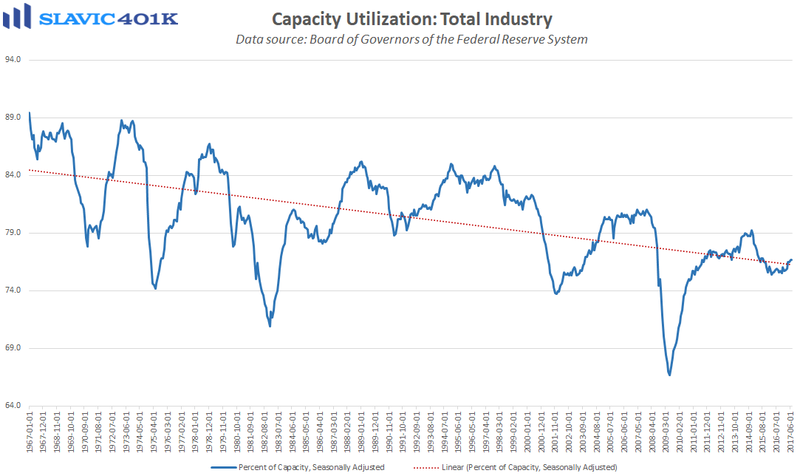 On the bright side, capacity utilization, sometimes used as a leading indicator of inflation and potential output, ended July at 76.7 percent, matching the best reading since August 2015.